I tried, I really tried to resist all the catalogs and on line offerings! I lost the battle and succumbed to their teasing! 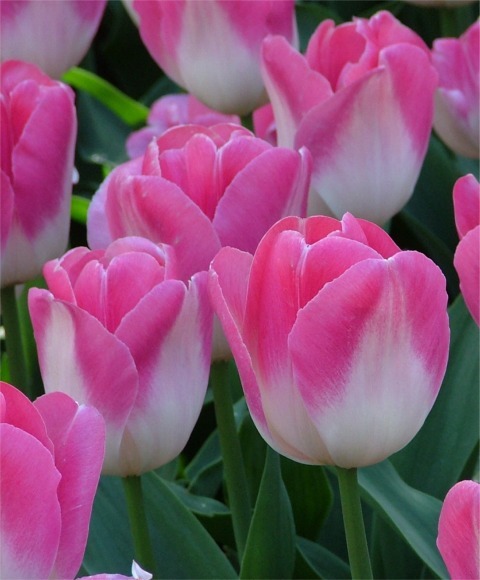 I was not pleased with the big box store's tulips. So I went back to ordering. 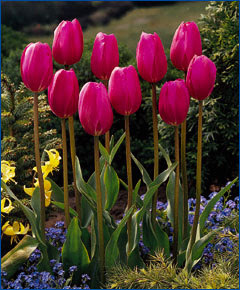 All of the ones I ordered are a Triumph Tulip- which is a cross between a Darwin and an Early Tulip. I stayed with the same type of bulb so they would bloom at the same time and have a similar size. 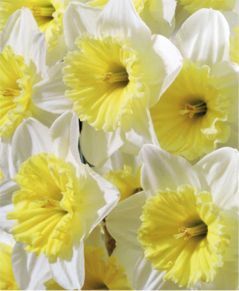 Now I'm anxious to get these and plant them! I'm going to put them out near the new area by my driveway. I get a good view of the area from my house and they get plenty of sun. I did mention another bulb company that I had ordered from in the past on the post from last April, but I kind of got ticked at them because of some plants I ordered that came in looking dead/damaged and severely delayed due to a shipping error on their part. I sent them a picture and complained but they seemed uninterested in helping me. They were more than glad to site their standard wording about how some plants are shipped dormant and may take 6 weeks to look better. Well the one that looked dead was and the other made it but it was an annual and by the time I got it it was already July. Then mysteriously another shipment came but it was August by then and that was so late I couldn't believe they bothered. I guess there is always a risk when ordering but they're communication stunk. Customer service can make you or break you! Can't wait to see these blooming next spring! Check out my new countdown clock on my page! I like your choices. They should look terrific for you in the Spring. My last Tulips finally died out and didn't come back last year. I did not replace them as I knew I would be reducing things here. Some of these places you order from online are unfortunately like the ones you mention. Others are fantastic but you have to find them and it can be hard sometimes. Ha! And that is the exact reason I don't ever order any catalogs. I know I'd succumb as well. How exciting to have some spring babies to look forward to, though. Can't wait to see pictures! With so many deer I have had to give up on tulips..those I have will stay but no additional. 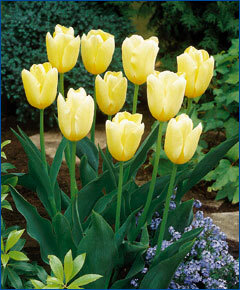 I love Scheeper's and look forward to seeing your flowers in 163 days...yippeee!! They look great!!! Can't wait to see where you plant them and I hope its not a long long winter but for some reason in February it always seems that way! I like the innuendo best.